This week my Friday favourite is the Victoria’s Secret Fashion Show. The VS angels are my gym-spiration all year round, so I’m always excited to see how amazing they all look on the annual catwalk, and this week’s show certainly didn’t disappoint! This year’s show saw model of the moment Bella Hadid make her VS debut, whilst her sister and BFF Gigi Hadid and Kendall Jenner walked the runway for their second year, alongside superstar Angels including Alessandra Ambrosio, Adriana Lima, Joan Smalls, Lily Aldridge, Elsa Hosk, Romee Strijd and Taylor Hill. Personal highlights for me included Bella looking smoking as she sashayed past The Weeknd who was performing on the catwalk (ultimate bumping-into-your-ex goals!) and the gorgeous Jasmine Tookes modelling the $2.4million Fantasy Bra. The show airs on TV around 5th December – I can’t wait to watch it in full! 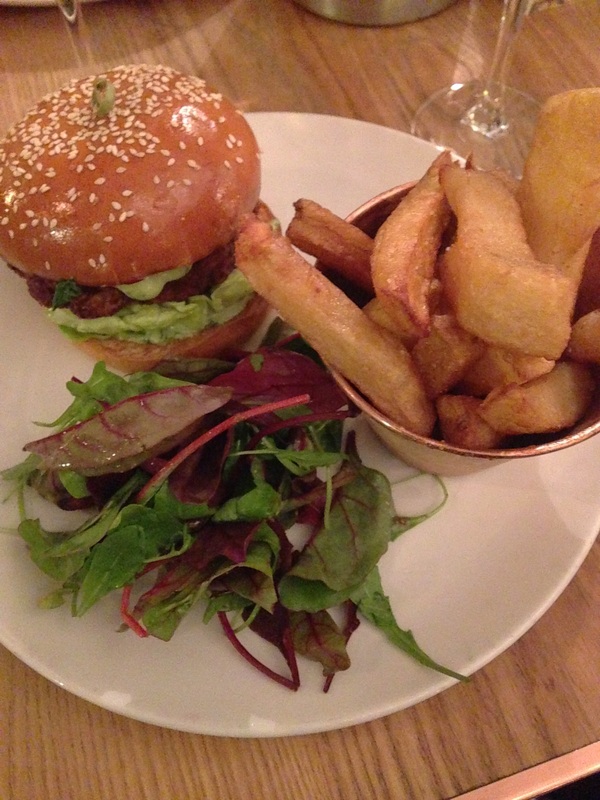 Today, my Friday favourite has to be our mid-week treat, dinner at Evelyn’s Café & Bar. On Wednesday we enjoyed a team outing as a late ‘Welcome to Avant!’ dinner for myself and a ‘Welcome back from your India travels’ treat for Amanda. The cosy atmosphere was a welcome change from the frosty Manchester weather outside as we sat down in our little booth and all admired the restaurant’s décor. We all loved the restaurant’s little quirks, including a feature wall of house plants, books and framed quotes (‘you are the gin to my tonic’), and a white wine named ‘Running Duck’. We obviously went for the Running Duck for the comedy value, which sadly was sold out, however – great excuse for a return trip! I felt spoilt for choice by the menu, which is just what I love in a restaurant! A lot of the dishes seemed to have a slight Asian influence, including Laksa, Korean chicken and samosas, amongst other mouthwatering options. After much deliberation (ceviche? Dumplings? ), I decided on a crab and shrimp burger, topped with basil aioli and served with seasoned chunky chips and was not disappointed. I’m still thinking about it now. It was lovely to spend time with the team, and I have created a mental list of the food and drink I’d still love to try at Evelyn’s. Same again soon guys? Whenever I go on holiday, I always want to get henna, so my trip to India a few weeks ago seemed the perfect opportunity. It looks so pretty and last for a few weeks – just the right amount of time before getting back into work. Henna (which I found out in India is pronounced ‘Hina’) is actually a flowering plant, which is dried out once fully grown, sifted to create a powder and finally mixed with water, lemon juice or tea, to create the perfect solution for the intricate designs. The plant can also be used to create silk, wool and leather. 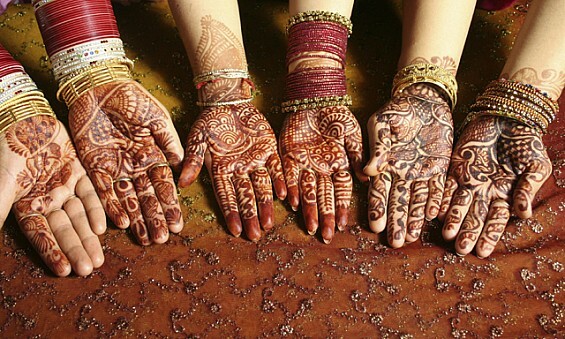 Historically used in South East Asia, henna is traditionally used on brides preparing for their wedding day, while in India, as part of Hindu and Sikh weddings, henna is applied during the ceremony – traditionally it is thought that the darker the henna on the bride’s hand, the more intensely her husband will love her. It is also an important part of many Hindu festivals (such as Karva Chauth and Diwali), as well as during Eid. I love it so much that I decided to buy myself a starter kit for at home, which I can’t wait to try out, so keep an eye out for my future designs! Continuing with Amanda’s skincare theme, my Friday favourite this week goes to my new pot of coconut oil. Having heard and read about all of the great benefits that coconut oil provides for your skin from various celebrities and skincare experts, I decided to buy some to reap the benefits myself. 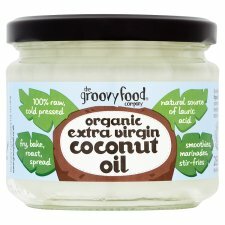 I bought a pot of raw organic extra virgin coconut oil from Tesco and have been applying it as a night-time moisturiser for the past week or so. I have definitely noticed the positive difference it has been making to my skin as my skin feels a lot smoother and more hydrated, and the oil has also helped to even out my skin tone as its antibacterial qualities help prevent spots. I am definitely going to keep using this coconut oil as part of my daily skincare routine to see the long-term benefits that it has, and I would definitely recommend trying it if you suffer from dry, dehydrated or spot-prone skin. 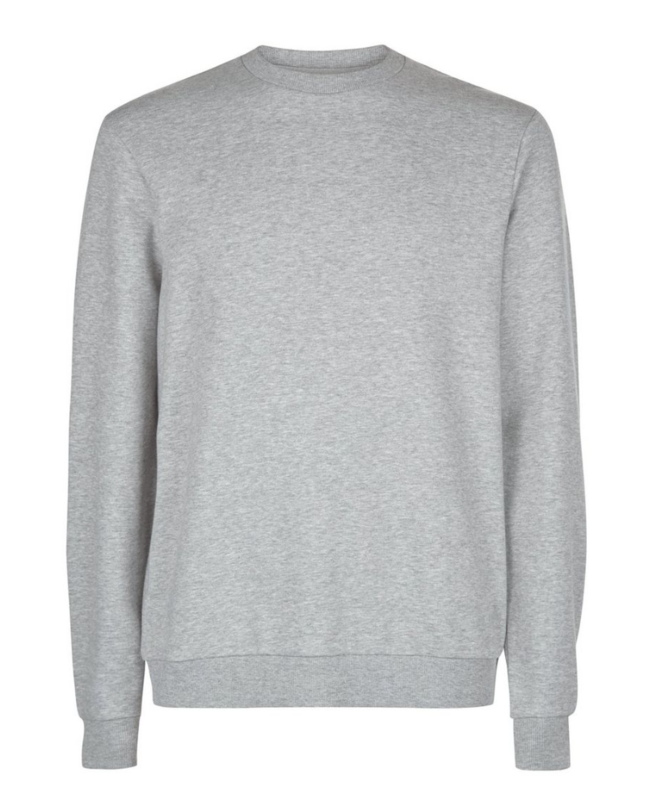 This week’s Friday favourite might be one of my most boring yet (which is quite a coup after this one – albeit along the same lines), but my new grey sweatshirt from New Look at ASOS really has made my week! I’ve been looking for the perfect grey sweatshirt for months and when Black Friday hit, I thought there no better time to spend on what is essentially quite a boring purchase, despite being a wardrobe staple (I also bought two pairs of jeans, a pink jumper and some black, ribbed trousers – really making the most of those discounts!). One of my favourite tricks when it comes to basics is to search the menswear department, which is exactly where I found this beaut – and at just £10 (£8 after the Black Friday discount!) I definitely couldn’t say no. I’ve worn it so far with black skinny jeans and pointy ankle boots and over my gym kit en route to a workout, but I’m also envisaging it with a metallic pleated midi skirt, my leather mini and so much more. In fact, I may have to buy a second – one for outdoors and one for indoor slouching – it’s just that comfortable. Tune in next week for what I’m hoping will be a much more exciting Friday favourite from me!